Christopher Perrone is director of CHCF’s Improving Access team, which works to improve access to coverage and care for low-income Californians. 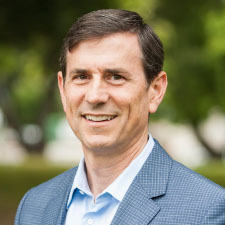 Chris was previously director of the foundation’s Health Reform and Public Programs initiative, where he led efforts to improve the policies and practices that shape Medi-Cal and other publicly funded health care programs, and to promote greater transparency and accountability within these programs. Prior to joining CHCF, Chris served as director of planning for the Massachusetts Division of Medical Assistance. He was the first external recipient of the Globe Award, given by the Office of Strategic Planning at HCFA (now CMS), for his work to improve the delivery and financing of acute and long-term care services for low-income seniors. He has also held positions with The Lewin Group, the American Psychological Association, and the Center for Health Policy Studies at Georgetown University. Chris received a bachelor’s degree from the University of California, Berkeley, and a master’s degree in public policy from Harvard University.